The White Rose Classic features three Yorkshire Dales cycle routes, short, medium, or long. Any one of them makes for a great day out, affording beautiful views and significant challenges. Which one is right for you? It depends on your experience and your goals. Take a look at the routes and the profiles and that should make it easier for you to decide. No matter which route you chose when you registered, you can change your mind when you Sign On the morning of the Event. We’ll also be offering group rides for each route. It’s a great place to be for a supportive environment when pushing yourself to a new goal. Routes are subject to change right up until the day of the Event because of roadworks or other considerations. If in doubt, please follow posted event signage. 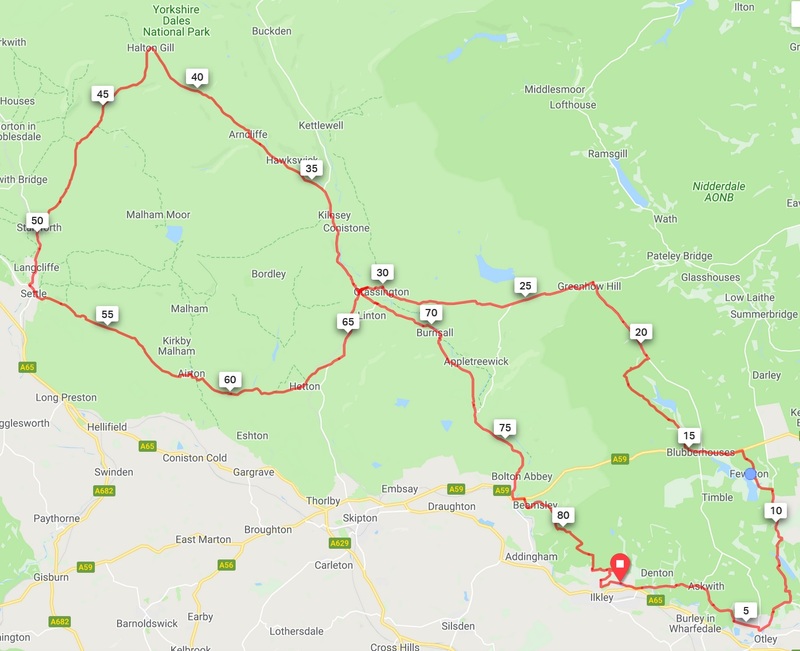 The White Rose Short Route is perfect for those taking on a first sportive challenge who want to see why so many cyclists are drawn to Yorkshire Dales cycle routes. At almost 50 miles it is plenty long enough to get a feel for the beauty – and challenges – of the area. The route is no pushover, tackling the famous Norwood Edge climb, before a well-earned rest at the Grassington feed station. Sailing from there down Wharfedale past Bolton Abbey, the last challenge of the day is the Langbar climb, before the downhill to finish back in Ilkley. Ride into the heart of the Yorkshire Dales, starting up Norwood Edge, over Greenhow to the first feedstation in Grassington. From Kilnsey in Wharfdale this is one of the few Yorkshire Dales cycle routes that ventures into remote Littondale and Silverdale, past Pen-Y-Ghent, before dropping into the ancient Ribbledale market town of Settle. Leaving Settle you tackle the steepest climb of the day, Albert Hill, before sweeping down into quiet Malhamdale. The route winds its way back to the Wharfe valley where you can recharge back at the Grassington feed station before heading down river to the final climb up Langbar and a welcome downhill finish in Ilkley. 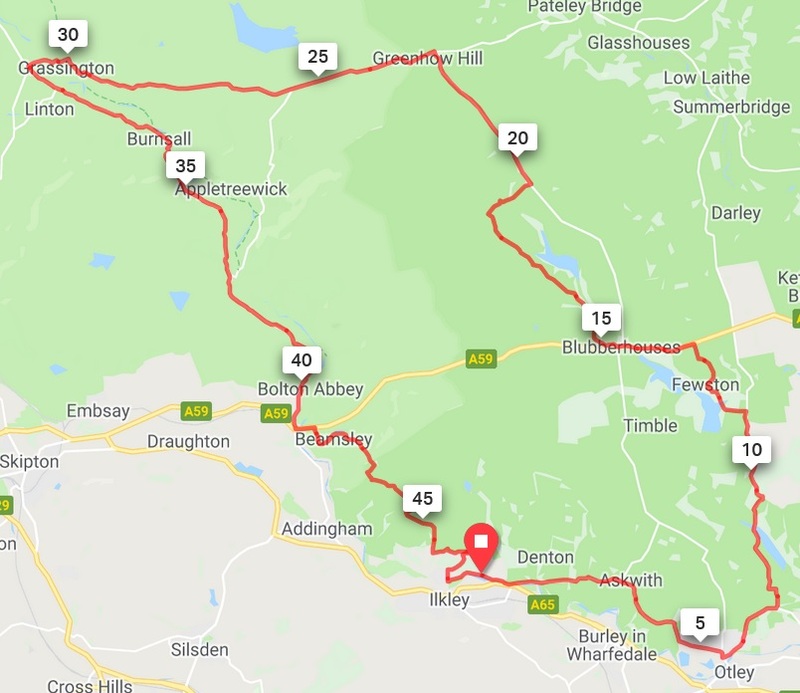 New for 2019, the epic long route at 120 miles takes in the climbs of Norwood Edge, Fleet Moss, Garsdale Head (Coal Road), before turning west in Dentdale for the Deepdale/Kingsdale duo. This is a climb that even a few locals don’t know. It’s a tough climb with a magnificent reward of views from Morcambe Bay across the Forest of Bowland, and all the way to Pendle Hill. After dropping down into the classic Dales town of Ingleton, a few more quiet miles take you to the light feed station at Settle before tackling Albert Hill, considered the hardest climb of the day. By the final climb over our local hill at Langbar you’ll have clocked over 10,000ft/3000m of ascent. 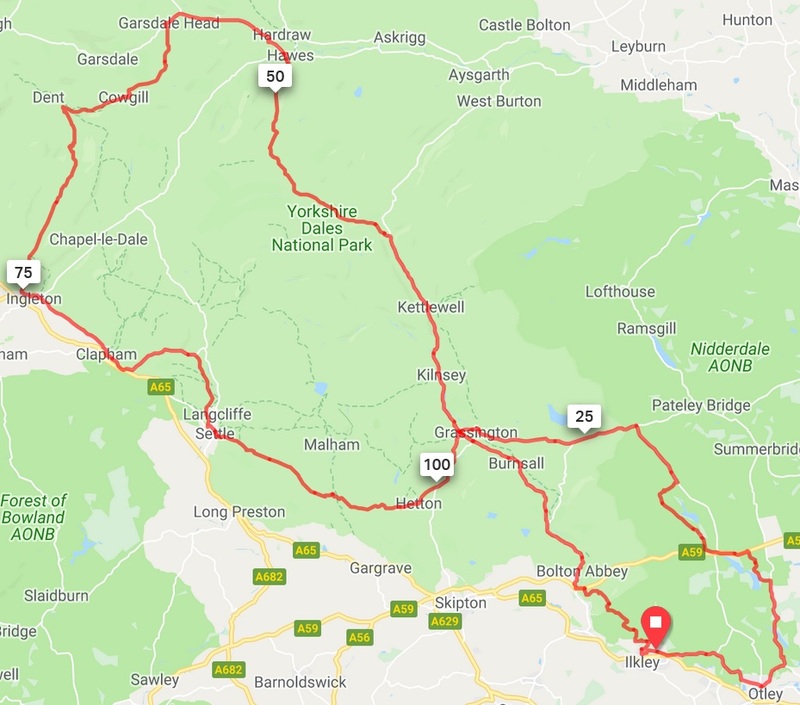 It is a challenge for all riders, but it gives you an opportunity to take in the most dramatic of all the Yorkshire Dales cycle routes, with views of the famous Yorkshire 3 Peaks: Pen-Y-Ghent, Whernside, and Ingleborough. Riding the Long Route you will know why the Tour de France came to ride these roads!